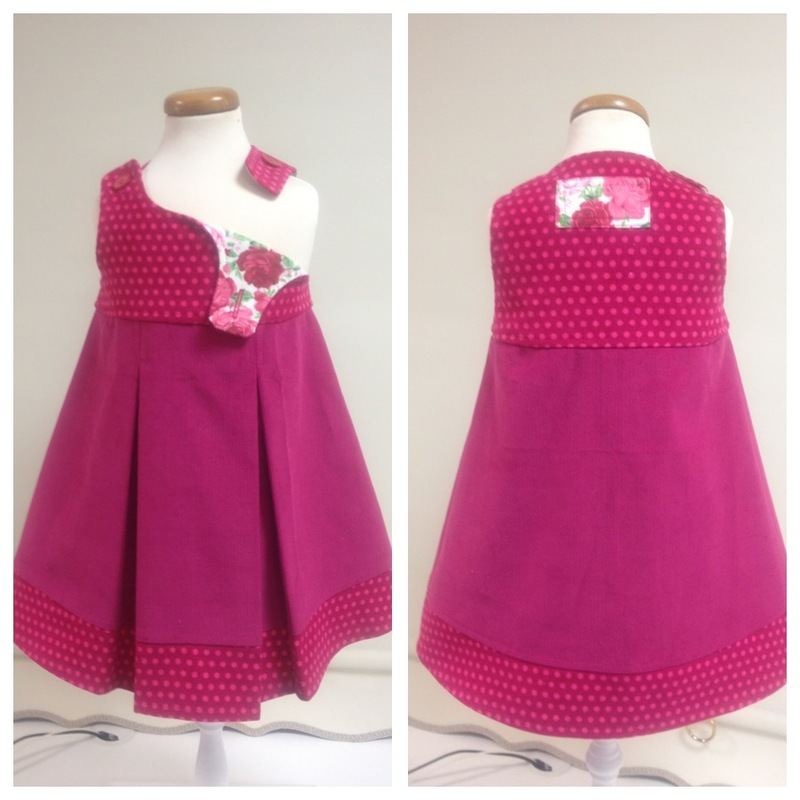 Sewing Children’s Dresses The Thrifty Way! 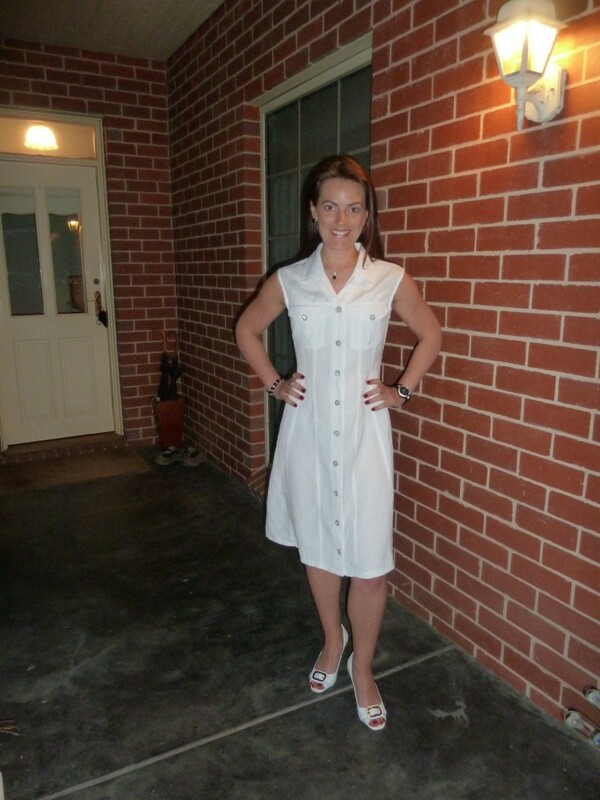 Today I have one of my favourite sewing projects to share with you! 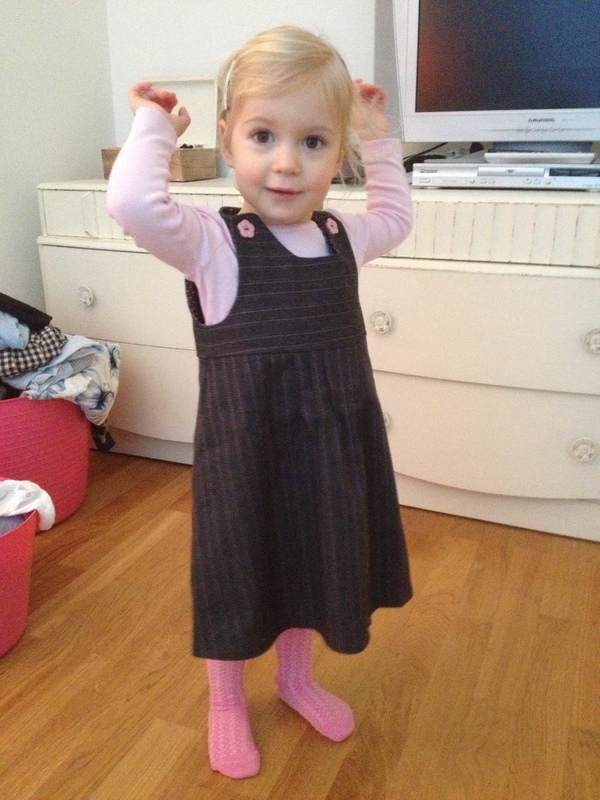 Sewing dresses the thrifty way for my little granddaughter Poppy! The reason I call it ‘thrifty’ is because I mostly used remnants from my own sewing projects. 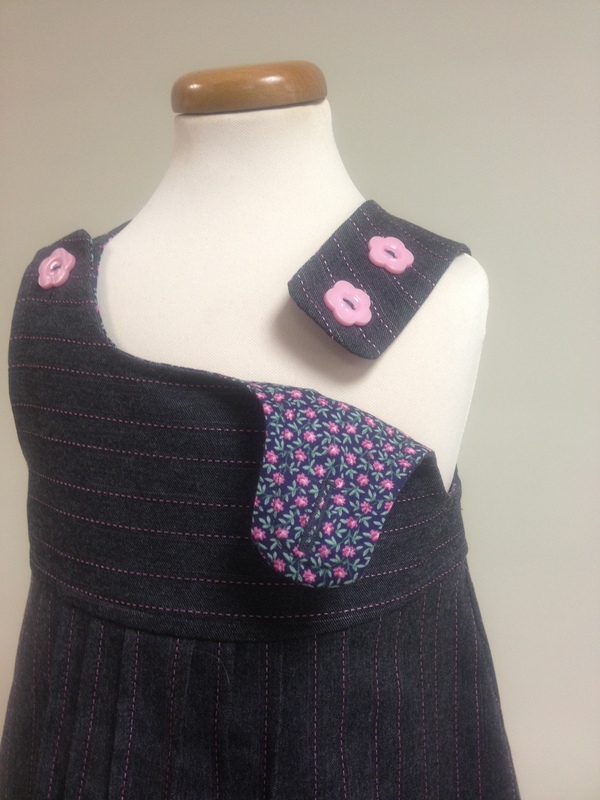 I also made my own pinafore pattern which features a second hidden button on the shoulder to allow for growth. 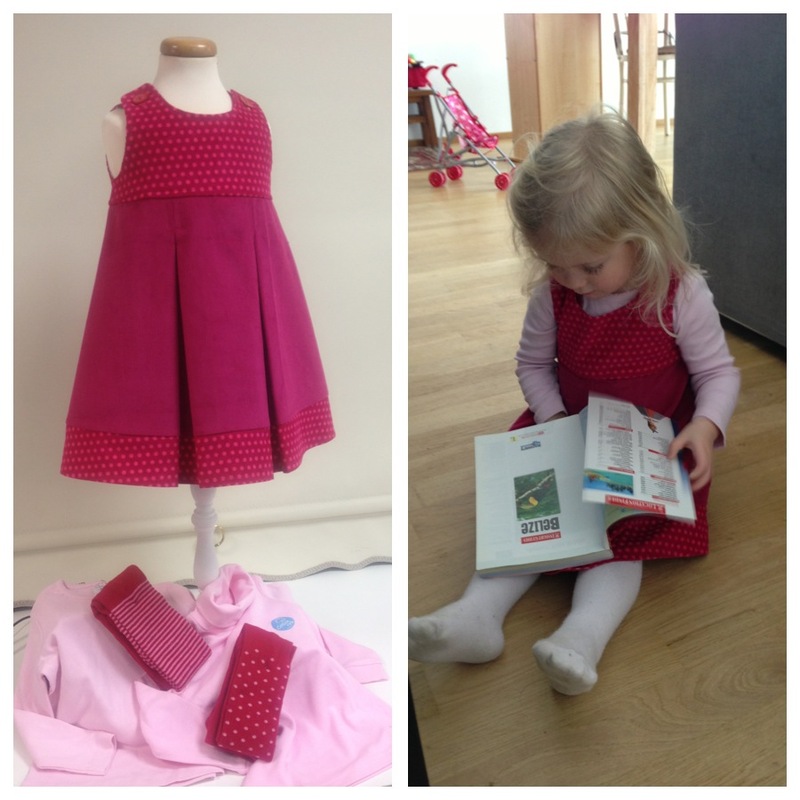 Sewing for my little Poppy is such a delight that I made four different styles of my pinafore! I always recommend making at least 2 of a great pattern as it has many benefits. For example making two of the same pattern can be much faster than two very different patterns. 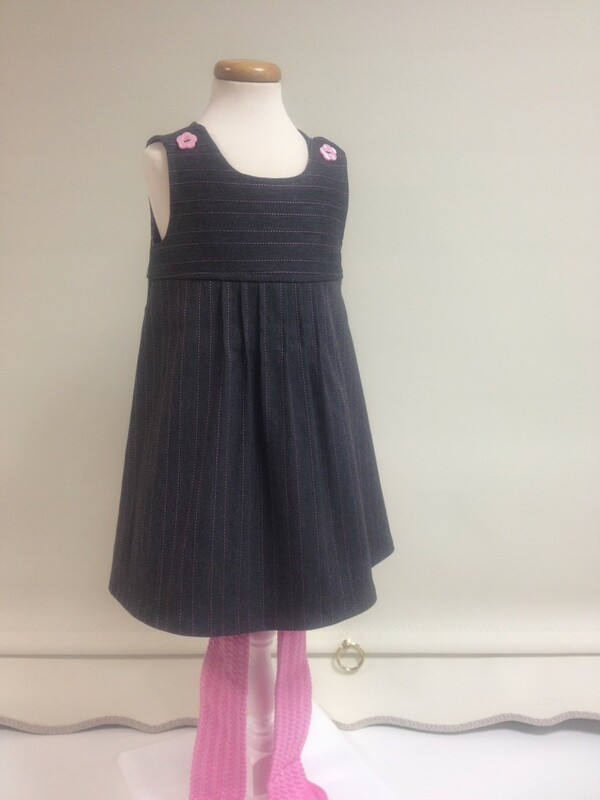 You only have to fit and trace your pattern once and you can follow the same sequence on two garments. The first dress I made below was from black cotton velvet. 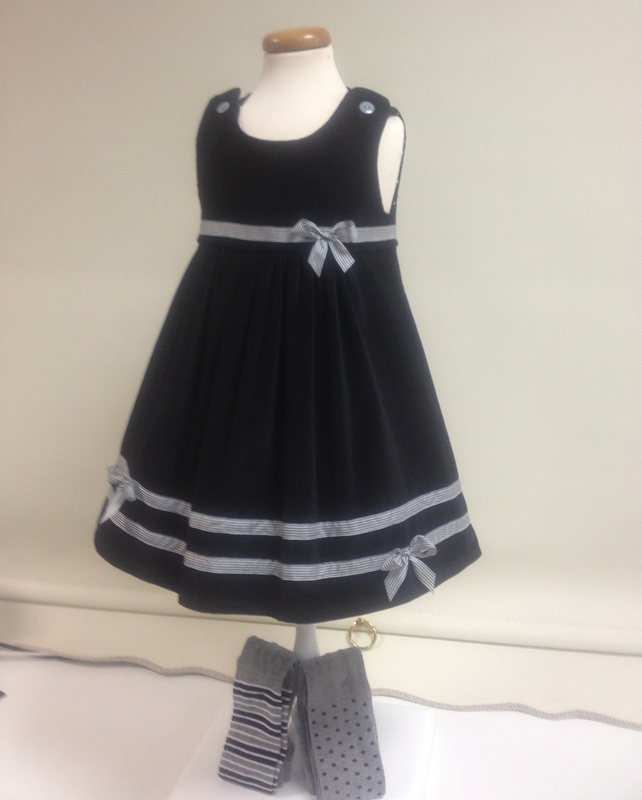 I trimmed it with a grey and white French stripe poly ribbon on the bodice and hemline. 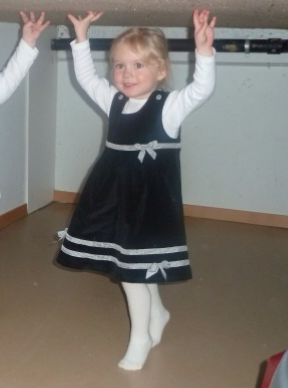 It also features a gathered front skirt and purchased matching tights. As you can see below I love to add designer details and lined it with lovely spotty cotton! 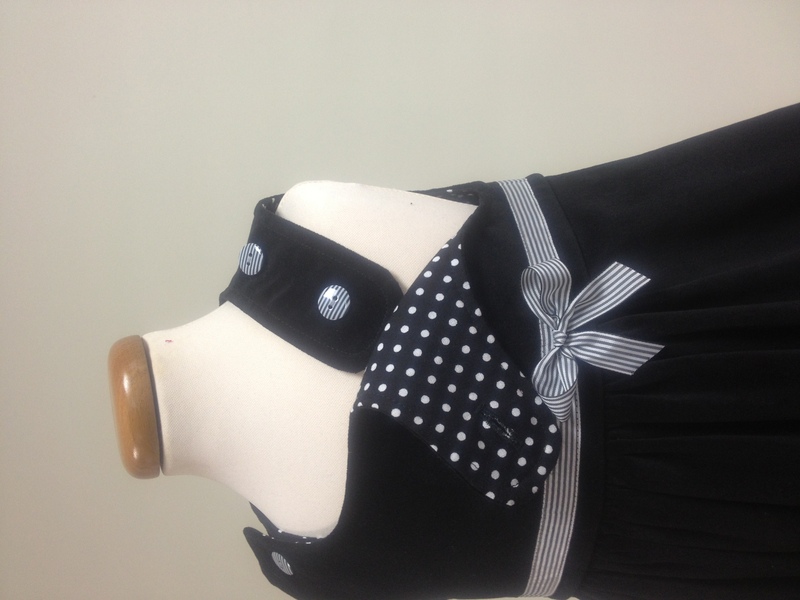 The second pinafore I made below from crimson cord and coordinating spotty print on the bodice and hemline. I made a pleated skirt with two inverted pleats and teamed it with purchased pink tops and tights! 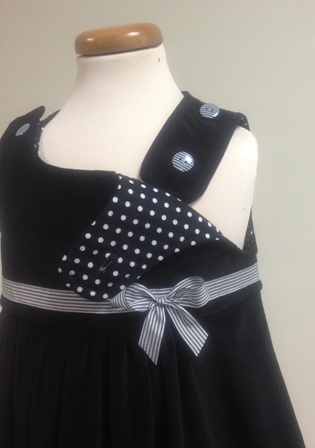 Some more designer features below with a cotton printed lining and square patch on the back neckline. The third pinafore I sewed for Poppy below is a blue denim with a fine pink stripe. 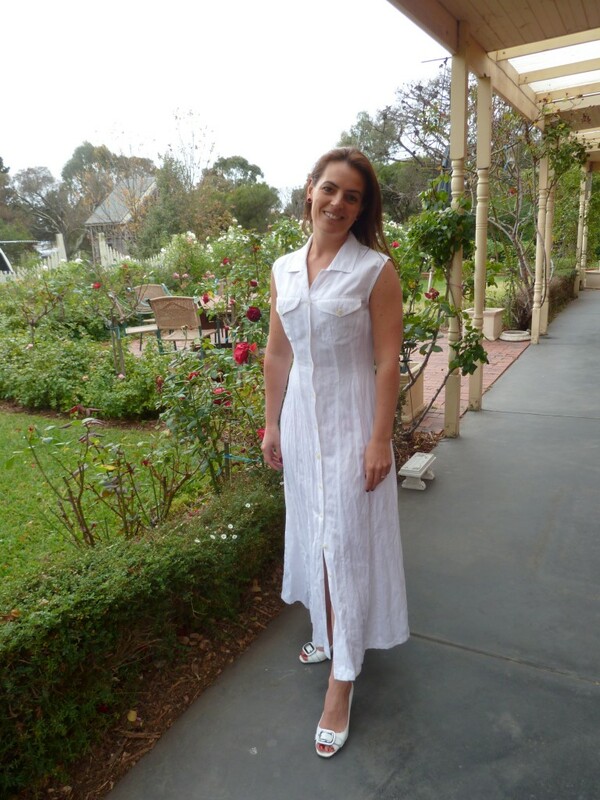 This time I used flower shaped buttons on the shoulder and several small pleats on the front skirt. Also lined with a cotton print. 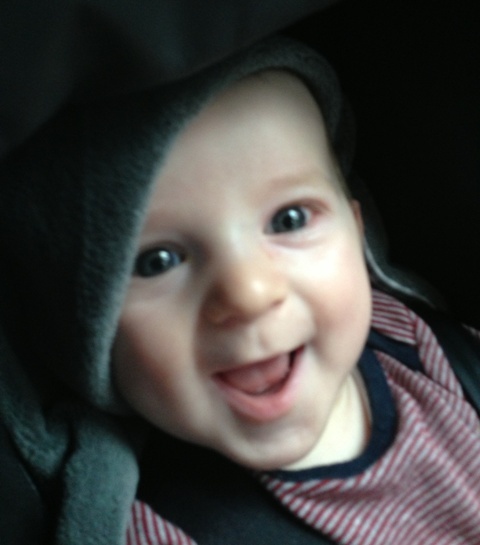 As you can see the two buttons that allow for growth. 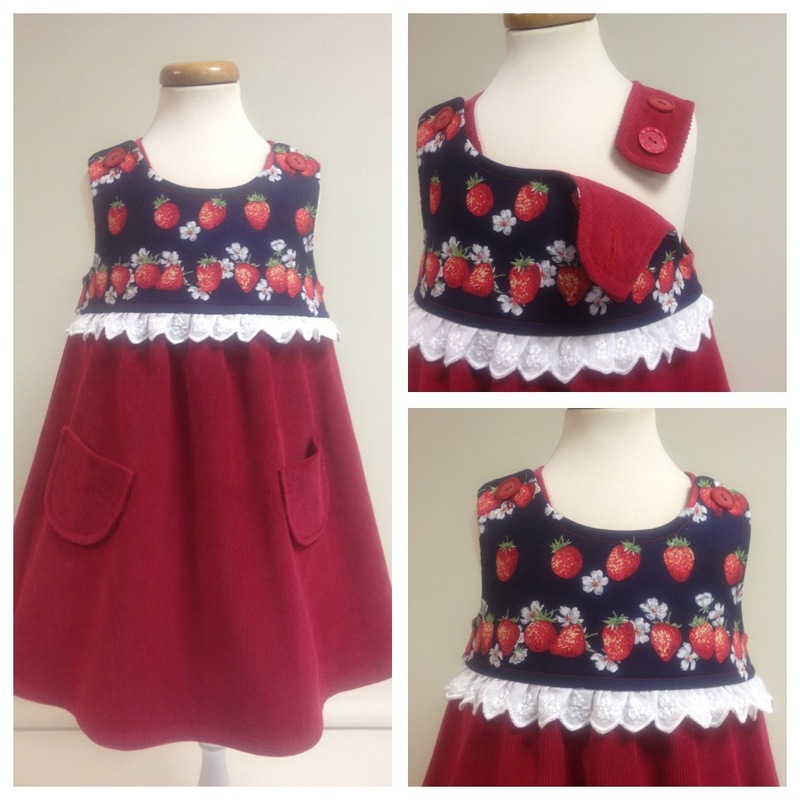 The fourth pinafore dress I sewed for Poppy below is made from a strawberry patchwork cotton and red fine corduroy. 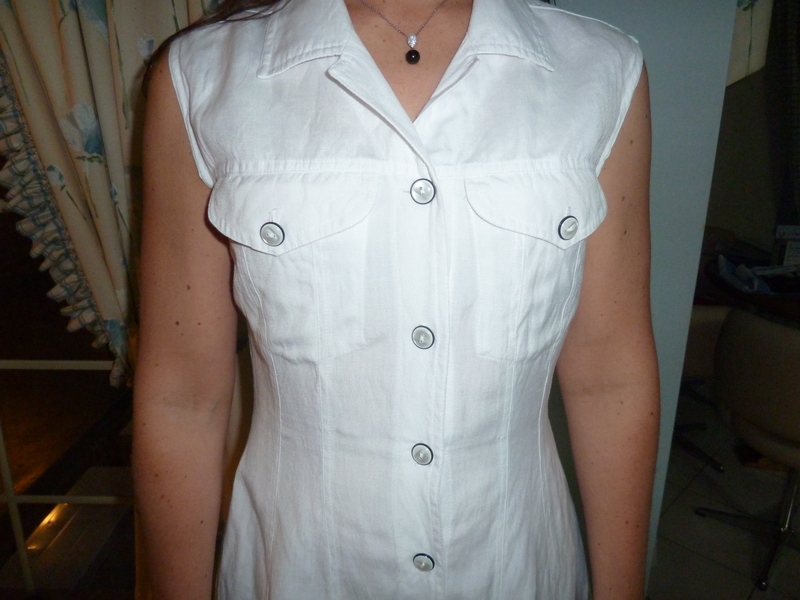 I trimmed it with a lace and added two pockets. 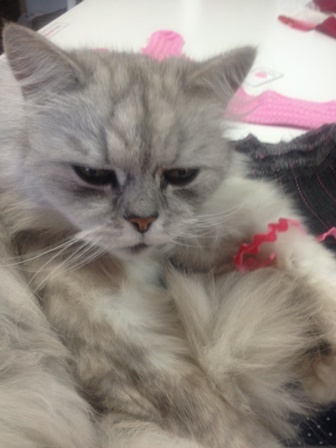 All the while I had my cuddly helper Samuel Beau helping me with where I needed to place the trims! We hope you enjoyed this blog post, if you did and have any comments for us we would love to hear them, simply write to us below and let us know what sewing project’s you’re working on right now!